Immerse yourself in this peaceful and protected land of natural wonders—a vibrant, living Eden on the Central American isthmus. You will see Costa Rica from sea-to-sea, Atlantic to Pacific, and try to spot all the wondrous wildlife who reside here. Any avid traveler will relish this opportunity to enjoy paradise at its best. No reviews yet for this trip. Browse other reviews below for Travcoa. You will be met upon arrival and transferred to your hotel. Today, travel to Turrialba, known as “the Switzerland of Costa Rica.” Here, in the center of the country, volcanic mountains meet in a lush green valley carved out by the Pancuare and Reventazón rivers. Choose from Class I & II rapids for a leisurely trip down the river or Class III & IV for a more challenging ride. 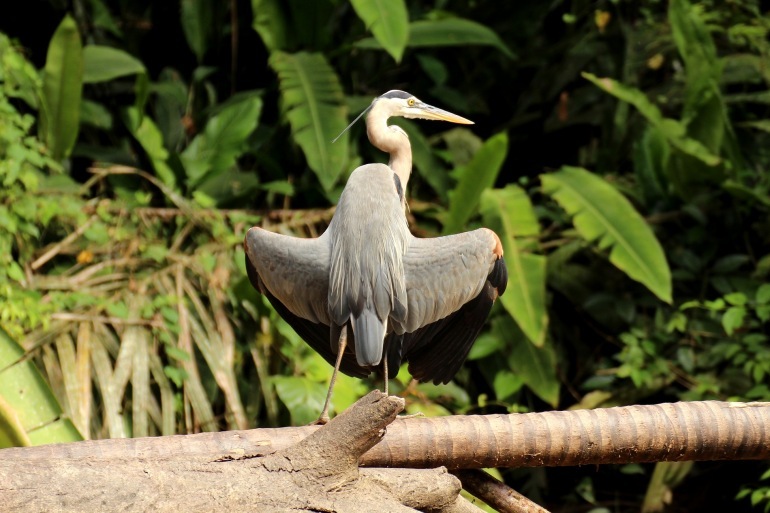 At Tortuguero, explore the Caño Palma Wildlife Reserve via a private, guided boat tour. Learn about the 150 species of trees and the wide variety of animals that thrive in this lush environment. Later, take a guided boat tour of Tortuguero National Park. Keep an eye out for ghost and howler monkeys, sloths, and the elusive jaguar. On Day 5, fly to San José to meet your private car and driver, then make your way to Arenal. After you have settled into your hotel, visit Tabacón Hot Springs, home to dozens of lush and secluded pools in which to relax and soak in the warm mineral waters. On Day 6, enjoy a canopy tour on the Sky Tram for spectacular views of the rainforest, and explore Arenal Volcano National Park with a private guide for yet another perspective. On Day 7, choose between horseback riding to La Fortuna Waterfall or a visit to the Arenal Hanging Bridges. Learn about the local farming lifestyle, then relax at the hot springs. Enjoy three days to relax and soak up the sun with opportunities to explore the local surroundings. On Day 11 you will be transferred to the airport for your flight home or on to your next destination. Voted by Conde Nast as one of the best hotels in Central America, the Marriott San Jose is a beautiful colonial hacienda set on a 30-acre coffee plantation. With unique architecture and elegant antiques, this luxury hotel features captivating grounds and a relaxing ambiance. Swim in the two outdoor pools or pamper yourself at the coffee inspired Kuö Spa. Experience fine dining, exquisite tapas and wines at La Isabela, known as one of the best restaurants in San Jose. The 299 air-conditioned rooms feature amenities including satellite TV, internet access, a minibar, in-room safe, coffee/tea maker, bathrobe and a hairdryer. Casa Turire is located less than 2 hours east of San Jose in the heart of the green and agricultural region of Turrialba. This beautiful place is bordered by La Angostura Lake with the impotent presence of Turrialba mountains that offer you an amazing landscape. The Hotel features a gourmet restaurant that serves both typical Costa Rican cuisine as well as international food. The hotel facilities include, but are not limited to, an English style bar, free Wi-Fi, outdoor pool and Jacuzzi, game room, and meeting room. Surrounded by the natural beauty of Tortuguero, the Manatus Hotel offers you the comfort of luxurious rooms and a delicious restaurant with international and gourmet cuisine. There is an inviting outdoor pool, massage service and a pool table. The Manatus Hotel has 12 fully equipped guestrooms designed to inspire you by connecting you with the surrounding wildlife sanctuary environment . Your spacious air-conditioned room has luxury finishes including cable TV, a mini-bar, a balcony, complimentary internet access and in-room safe. Tabacón Grand Spa offers the unique combination of the energy of the active Arenal Volcano, the heat of the Tabacón Hot Springs and the purity and mysticism of the surrounding rainforest. Located at the base of the Arenal Volcano, this 865-acre five star luxury resort is recognized as a member of The Leading Hotels and The Leading Spas of the World, and has been named a world's top ten eco-spa by National Geographic Magazine. Features and services include swimming pools, a Jacuzzi, full-service spa, lush gardens, laundry service and souvenir shops. There are two restaurants and a lounge bar. The 114 luxurious guestrooms are beautifully appointed with rich handicrafts and furnishings made by Costa Rican artisans. Rooms feature cable TV, internet access personal safes, mini bars and coffeemakers. Guest bathrooms include luxurious bathrobes, deluxe bath toiletries, hair dryers and bathtubs. This beautiful ocean front resort is located on one of the most exclusive beaches in Costa Rica. Discover traditional Costa Rican warmth with world-class luxury. The resort is peacefully surrounded by the splendors of Costa Rican nature and offers a choice of 3 beaches, championship Golf, equestrian center, world-class spa and more. Other optional activities include ATV tours along the coast, beach treks, bird watching excursions, jungle trips, snorkeling, scuba diving, sailing, fishing or just enjoying the sun and comfort of the resort. The 310 luxuriously appointed guest rooms provide a private haven of comfort with rich woods and fine linens. The air-conditioned room amenities include satellite TV, internet access, a minibar, in-room safe, coffee/tea maker, bathtub with spray jets, bathrobe and a hairdryer.